The charming Back Bay neighborhood is home to Windsor Place. The former hotel has been expertly converted into condos ranging from studios to two bedrooms. Elegance greets you at the stone entrance and continues to the classically appointed and secure lobby. Concierge services are able to assist you with packages or arrange appointments and reservations. Many of the spacious residences feature wood parquet floor, high ceilings, and large windows for natural lighting. State-of-the-art kitchens are outfitted with granite countertops and stainless steel appliances. They are designed to include ample cooking space and breakfast bars. In the warmer months, you can use the gas grills available on the outdoor patio. The patio also includes a pool and lounge chairs to read and relax in the sun. 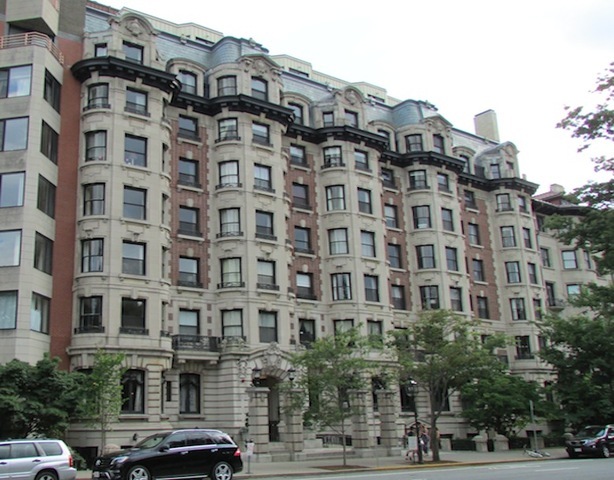 The prime location of the building gives residents the ability to enjoy a quiet retreat, while still being close to the bustling Newbury Street. Nearby public transportation at Hynes Convention Center gives you easy access to other neighborhoods within Boston. Garage parking spaces can be obtained.